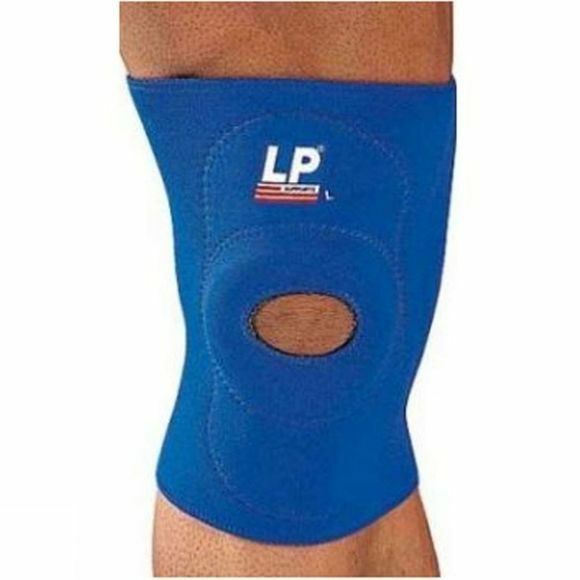 The LP Sports Knee Support open provides comfortable pressure on the joint, along with maximum body heat retention. Helpful for post-operative knee problems, strains, arthritis and for protection against abrasions. Stretch fabric inside ensures comfort durging wear and makes LP knee support easy to slip on or off.